Oh the Irish, they have all this rich flavorful food, beautiful land (so the pictures show) and let’s not forget about the beer! Someday I will go visit the other side, Europe as we Americans call it and see the beautiful landscapes, taste their amazing food, and learn about their cultures. Andrew and I were roaming our local book store (one of our favorite things to do together), when we came across this Irish Pub cookbook. Oh yes, we could definitely add this to the never-ending-growing collection of books we have. We love Irish Pub food, and this little book has some great recipes in it! 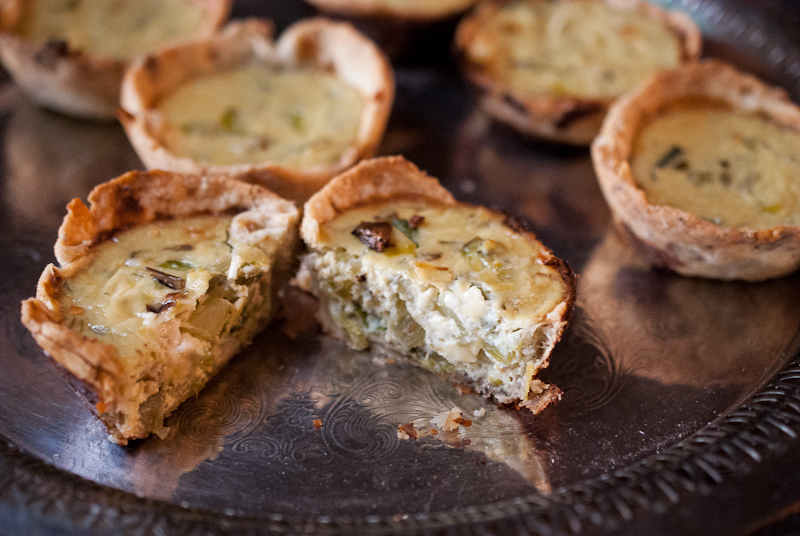 The first one I had to try were these walnut tarts with blue cheese and leeks. I looooove, probably way to much, tarts! Just love them, yes I do! Sweet or savoury, they are the greatest little finger food one could make. These were made in a muffin pan, so no worries if you don’t have any fancy tart pans I love how these turned out too, a bit rustic, not the fancy fruit tarts that most would associate the word “tart” with. The taste is huge for the little package they come in, creamy blue cheese with leeks and onions, oh my! This kind of reminds me of a quiche, the base is egg and cream. Making the tart dough does require some time though, a chilled dough is always the best, so best not to rush the process or skip any steps. Buttery and flaky, they melt in your mouth! I had a hard time eating only a few, ok more like 4! These can easily be made ahead and taken to a pot luck, brunch, or just for a light lunch with salad or soup. 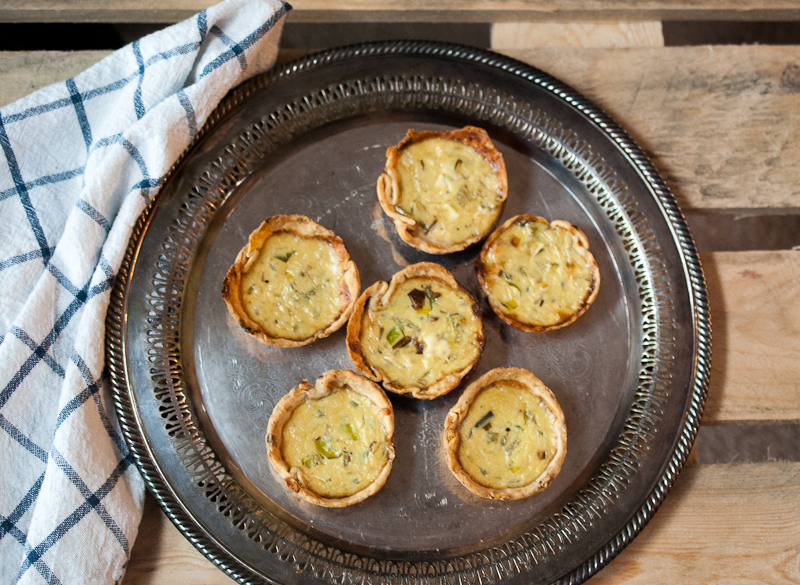 Tarts to good to eat just one or two….we won’t tell! 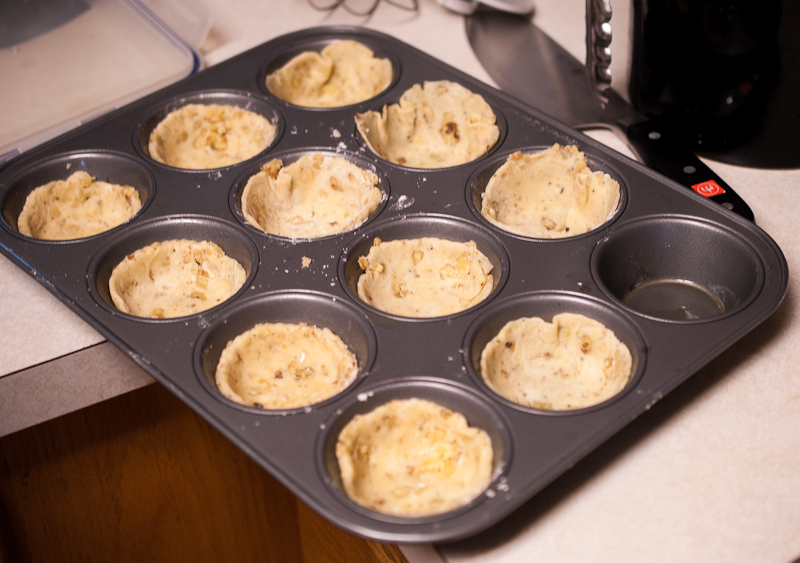 Lightly grease a 12 cup muffin pan. Sift the flour and celery salt into a food processor. Add the butter and pulse into a fine bread crumb mixture. Then add the ice cold water a few teaspoons at a time, pulsing in between additions. The dough should be wet but not too wet, still on the crumbly side. You want it to hold together when pinched between your fingers. Then add the walnuts and pulse just until combined. 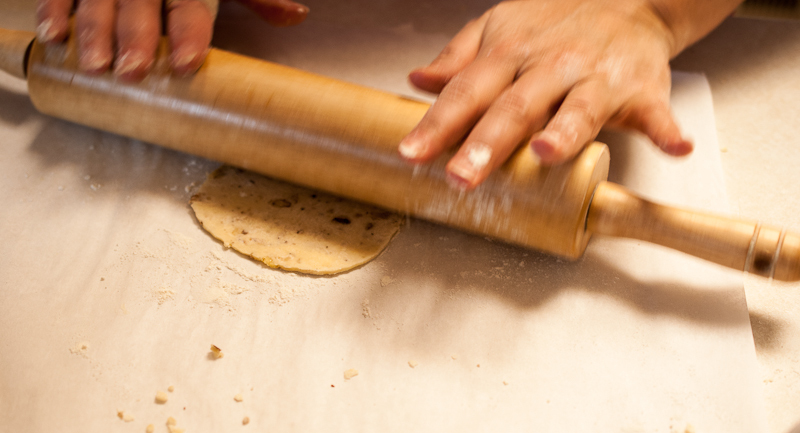 Turn dough out onto a floured surface, roll dough to about ½ inch. With a 3½ inch circular cutter, cut 12 circles. Roll these circles to about 4½ inches in diameter. Press into greased muffin pan. Place parchment paper cut into circles and dried beans or pie weights onto the pressed dough, refrigerate for 30 mins. Bake tarts for 10 ins at 400 degrees. Remove paper and beans/pie weights. In the meantime, make filling. Melt butter in a skillet, brown the celery and leeks until soft. Add 2 tbsp of cream and crumble in the blue cheese, season with salt and pepper. Bring the remaining cream to a simmer in a small saucepan. Beat egg yolk in a bowl, add the cream being careful not to make scrambles eggs! Mix the cheese mixture with egg. Pour into tart shells.